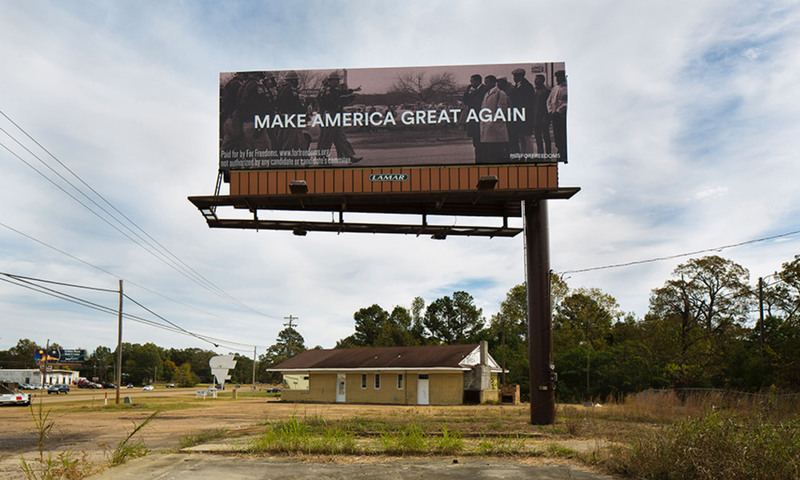 Tania Bruguera, Marilyn Minter, Trevor Paglen, and others to create political billboards ahead of US midterms. Outraged by Kavanaugh confirmation, social media users cite the vengeful women of art history. How the Swedish mystic Hilma af Klimt invented Abstract Art. Why AbEx painter Philip Guston’s return to figuration enraged the art world. Joan Mitchell on how to be an artist. Roberta Smith remembers dealer Phyllis Kind. Chinese artist and Netflix star Cai Guo-Qiang gets major show at Uffizi. A look inside Gucci’s “The Artist Is Present” exhibition at Shanghai’s Yuz Museum. The beauty, horror, and hallucinations of Keiichi Tanaami. MCA San Diego will break ground on its highly anticipated $95 million expansion project in La Jolla. Get a sneak peek at the Menil Collection’s new drawing institute before it opens next month. The 20th-century architecture of Yugoslavia was the result of a national effort to modernize and unify. The Met’s ‘Heavenly Bodies’ breaks museum’s attendance history, drawing 1.7 million visitors. For her final show at MoCA LA, curator Helen Molesworth chews on the meaning of ‘termite art’. Sweden’s Nationalmuseum reopens—and goes free. Richard Prince defends reuse of others’ photographs. An interview with Sheikha Al-Mayassa who sits at the epicenter of global culture. Linda Nochlin explores the role of women in the arts in a previously unaired interview. Pay attention to the loaded details in artist Robert Pruitt’s powerful images of devotion. Why certain artists’ markets can weather a recession while others’ flop. 3 trends art dealers and collectors need to understand to break into the Asian art market. Christie’s will become the first major auction house to use blockchain in a sale. Rare 1932 ‘The Mummy’ film poster poised to hit record $1 million at auction. 2018 Carnegie International’s Prizes go to Lynette Yiadom-Boakye, postcommodity. Why we must keep women and artists of color from becoming the next victims of market speculation. Clark Art Institute taps Anne Leonard as curator of prints, drawings, and photographs. ‘Shocked’ buyer of £1 million shredded Banksy to keep it, renamed ‘Love is in the Bin’. Do Brexiters really prefer Realism to Abstract art? A Frida Kahlo exhibition will open for an uninterrupted 48 hours in London. How Jenny Saville changed the way we view the female form in painting. Brands like Nike and PepsiCo are the new art patrons. NASA-inspired artist Tom Sachs‘ new Mars Yard sneaker for Nike. San Francisco’s FOG Design+Art fair announces the galleries exhibiting at its sixth edition. Zhang Xiaogang and the different shapes of class ideology. Fashion creative director Karl Lagerfeld tries his hand at sculpture. Bob Dylan illustrated his most famous songs—with new lyrics—for a London gallery show. Watch Mark Bradford build elaborate abstract paintings that reflect the real world. PODCAST: Charlotte Burns interviews Guggenheim’s Director Richard Armstrong. Peter Weller on how an epiphany at a Picasso show motivated him to become an Art Historian. These artists are carving incredibly detailed, art-historical pumpkins. Austria’s Rogner Bad Blumau is part hot springs, part luxury hotel, and entirely an architectural work of art. British Army starts recruiting for revived Monuments Men unit to protect art and archaeology in war. Dutch Museums discover hundreds of artworks stolen by the Nazis and is already returning them. Meet Hew Locke, the artist who dresses up patriotic statues to reveal their whitewashed histories. A new Statue of Liberty will be built on the U.S.–Mexico border. Will Jeff Koons plant his controversial tulips near the Bataclan? Here’s ten contemporary Nordic artists you should know. How to make art while raising a kid. Architect Richard Meier ‘steps back’ from firm following sexual misconduct allegations. Artist Khaled Jarrar critiques capitalism and war, sells vials of his blood on Wall Street. Categories: Contemporary Art, Features, Overtime, Street & Urban Art. Tags: Contemporary Art, Features, Overtime, slider-featured, Street & Urban Art.